Last week, I had one of those days that you just want to sit down, log off from the world wide web and just relax. But as active as I am, I couldn’t just sit down and do nothing. So, I was thinking about reading a book and why not read a book that also learns you something about the subjects you love? That’s why I asked my co-workers, to find out about the best marketing books published. This is when I came up with our personal list of favorites and the best marketing books according to our own experts. So, let’s start reading! I’ve actually never read this book before one of my co-workers came up with it, but after doing some research, if found out that Harry Beckwith is not only a good writer, but also a great speaker! Just to give you a taste of his way of thinking, I found a little video that gives you some insights. This book is about the economic transformation of the past 50 years and the changes in the European and United States economy that were made. The change from a manufacturing economy to a service-based one. In this book you’ll find out more about how to make the transition succefully, by using your invisible ability to build strong relationships with all the people you work with. This book is also one of my favorites, for me it’s all about how marketing evolved and how you shouldn’t attach yourself too much on the traditional marketing techniques that you know. Marketing nowadays is all about building your brand and being remarkable in every step you take. If you invent a new product, you can’t rely on the basic traditional marketing techniques you know, you have to make sure that your service and product are worth talking about! This is definitely on of the best marketing books that I would recommend you to read some time, it’s full of tips and tricks about how to be unique and not just go with the flow of your competitors. This next book is definitely one of the best marketing books that we’ve read. ‘Essentialism: The Diciplined Pursuit of Less’ is about having one goal and prioritizing as a key to effective marketing. This book really learns you to understand that you can’t be the best in everything and that you should focus on one thing to become the best. If you focus on too many things at the same time, you’ll lose your essentialism and the quality of your work will decrease and with this also your appearance. I couldn’t agree more, one of the most important things in marketing is to say ‘no’ some times and to prioritize things that you do the best. All of these marketing books are very useful to us in our daily activities and we praise the authors for their excellent writing and thoughts. 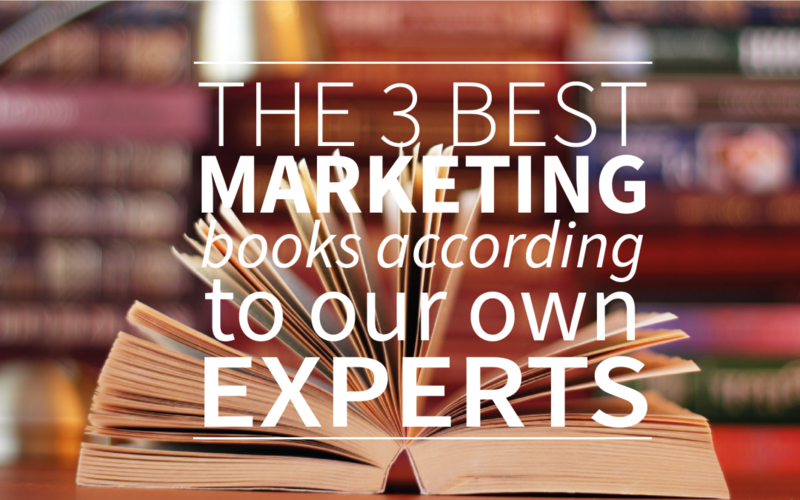 We hope that you’ll enjoy these books as much as we do and please let us know about your own personal list of the best marketing books that you’ve read!